A call to action is like a display window to your offer - it needs to be inviting enough to draw people inside your shop. You can have all the best offers, but if the CTA isn’t working, no one is going to come in and give you their precious contact information. How can you improve your CTA to increase lead generation? While it’s great that marketers are getting sick of lazy writing and offers like “save time and money,” there is a reason some of these phrases have been around for so long – they work. Creativity can do wonders for your CTA as long as you don’t go overboard and make the intention unclear. The reason the visitor should click the CTA button should be obvious to anyone. 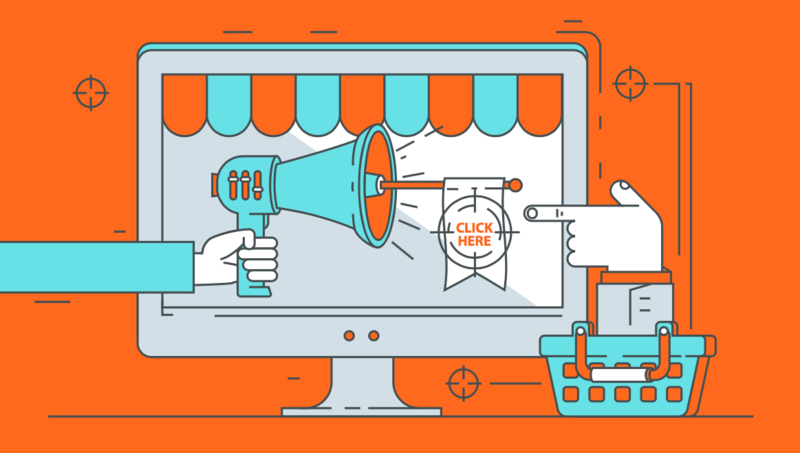 Hubspot published 31 examples of good CTA practices. The CTA button should be one of the first things that readers notice when they skim through the content. There are many ways to make it stand out – by using lots of white space, complementary colors, large buttons, etc. You can use tools that provide mouse-tracking and eye-tracking heat maps, for example HotJar – they’ll show you which page areas people look at and click the most, so you can check if your CTA is positioned most effectively. Ever wondered why some CTAs sound so blatantly obvious, like “click here”? It’s not because the visitors are in a dilemma whether to click the button or to activate it with the power of their mind, but because the action-oriented language increases conversions. It’s a psychological thing; you should formulate your CTA so it tells the reader exactly what to do when, and use action-oriented verbs like join, sign up, try. 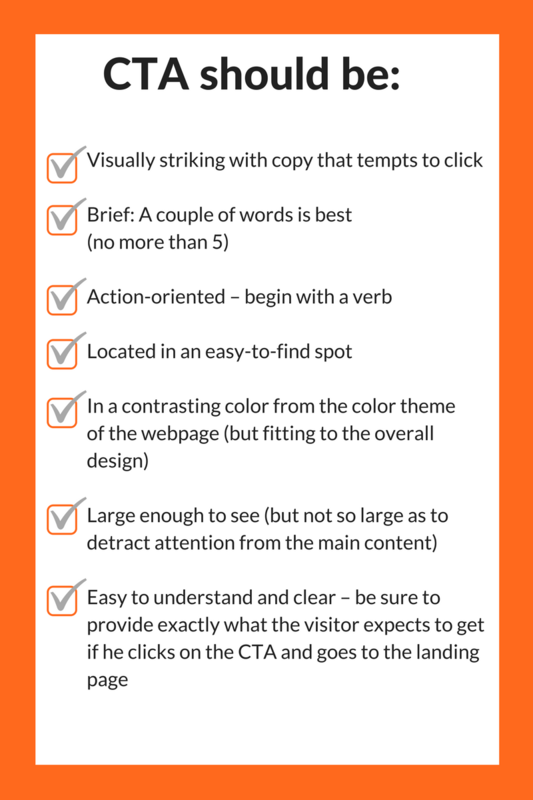 Follow the checklist below before you create your CTA to find out if you do this properly! Want to read more CTA tips? 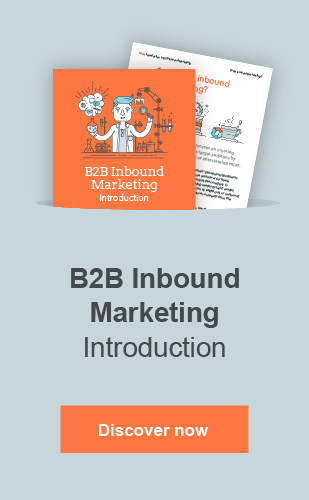 Download our Lead Generation with B2B Inbound Marketing eBook and learn how to optimize your landing and thank-you pages for lead generation!